These spoiling spas may not be the cheapest weekend away, but they’re perfect as a decadent treat for engagements, romantic weekends, girls’ holidays or any other time you’re in need of an uninhibited pamper. Luckily, each of the spas also comes attached to a luxurious country hotel for a real away-from-it-all experience – a healthy getaway has never felt so good. 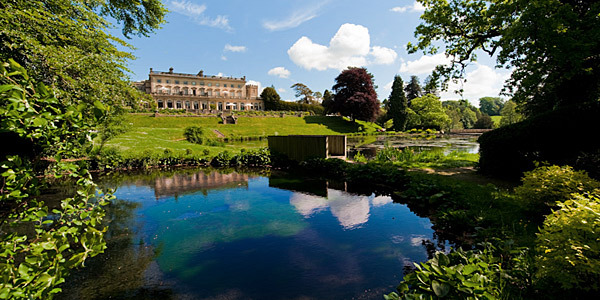 The Spa: There are two pools at Cowley Manor (both heated all year round), with the outside pool transforming in the summer thanks to sun loungers, a bar and waiter service. The spa itself has 4 treatment rooms and an extensive range of therapeutic and spoiling treatments. The staff are also fantastic and will quickly help you to feel right at home. The House: This imposing and grandiose Regency country house cuts through the stuffiness with a marked – but not overbearing – contemporary edge. All of the rooms are tremendously comfortable, and many have the ubiquitous features of luxury country living: four-poster beds, roll-top baths, wood-burning stoves. 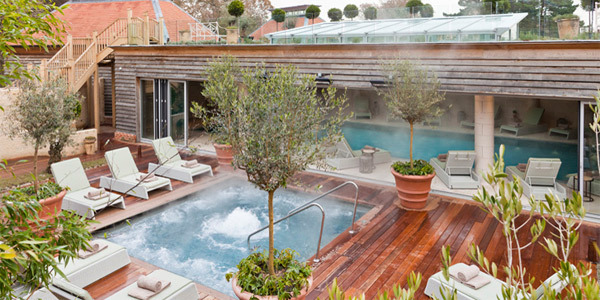 You’ll also find all the refined and cosy features needed to recover from long rambles in the surrounding New Forest – or to continue the unapologetic relaxation of one of the best spas in the country. The Spa: With 10 treatment rooms, a myriad of holistic and Ayurvedic therapies, a technogym, a hydropool, a mud house and a steam house all within a tranquil and super-relaxing forest setting, it’s easy to see why The Herb House is held in such high esteem. Of course such luxury doesn’t come cheap, but the mind-boggling range and quality of service ensures you get what you pay for. The Spa: The House Spa really is something special. It has a double treatment room (for friends or partners), a mud room, a thermal suite with a Lavender Infusion sauna, indoor pool areas with an infinity pool and hyrdro bubble-bath pool, and over 50 treatments covering everything from wraps and scrubs to massages and facials. There’s even a Veuve Cliquot Champagne Nail Bar thrown in, too. The pool is open until 9pm and also limits children’s access to 3 hours of the day. The spa is popular with non-guests too, so be sure to book ahead. 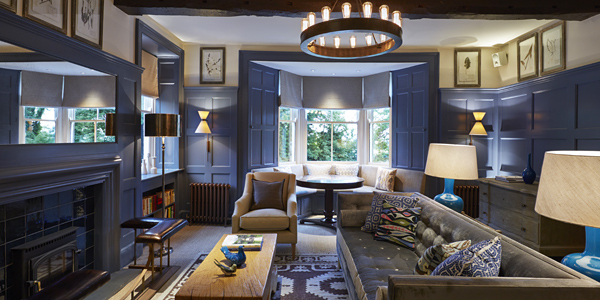 The House: At the heart of this unpretentious Cotswold hotel and spa is an intact Regency soul. 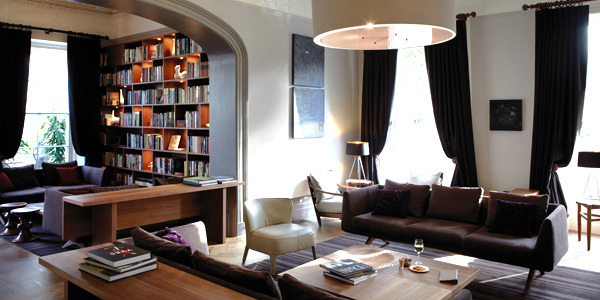 Sash windows, large fireplaces and a striking conservatory evoke Cheltenham’s grand past, while bold contemporary twists add a modern pace to the 61-room hotel. Eames chairs and Matthew Hilton sofas dot the lobby, walls are festooned with avant-garde paintings by students at Central St Martin’s, and a sweeping arc of steel and claret-coloured glass by Ken Shuttleworth (the architect behind London’s Gherkin) forms a distinctly 21st-century extension housing the restaurant. A brave fusion, but one that’s a resounding success. The Spa: There are a variety of treatments offered within the 4 wood-clad treatment rooms. 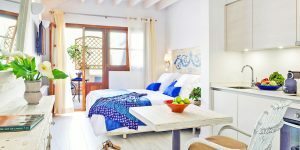 There’s also a steam room, a relaxation room with daybeds, and a double room for couples or friends who want to be pampered together. Treatments use products by REN, a natural skincare range based in Devon. There’s no pool, but guests are welcome to make use of the large pool at the nearby Cheltenham Ladies’ College for free.